A few weeks ago, I Facebooked about my love for Dill Pickle Chips north of the Mason-Dixon Line, and guess what appeared at my door step! 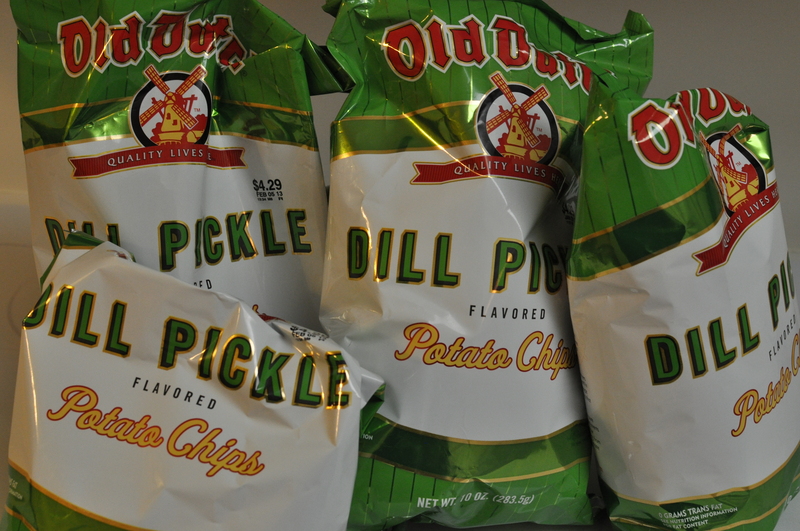 Yep, a whole lot of Dill Pickle chip goodness! 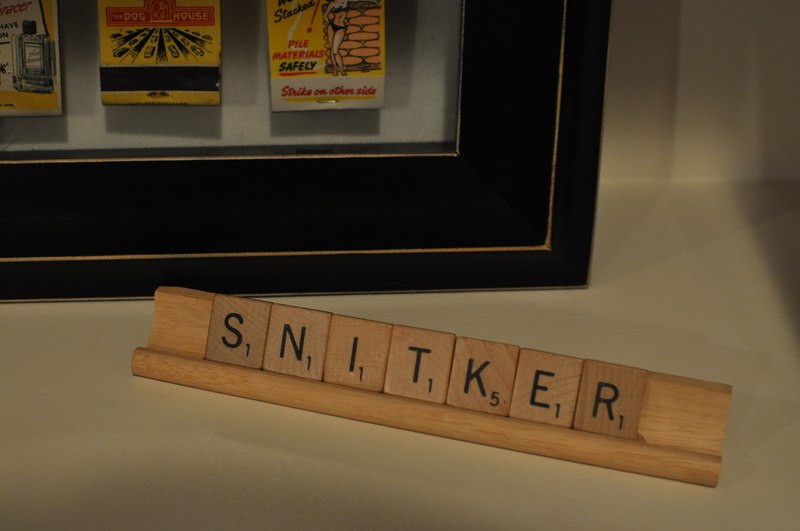 Our Aunt Nancy read my facebook status and made a trip to her local store to pick them up and ship them down to Texas! It was one of those amazing surprises! If that wasn’t enough, she also added in a couple craft items that she created! 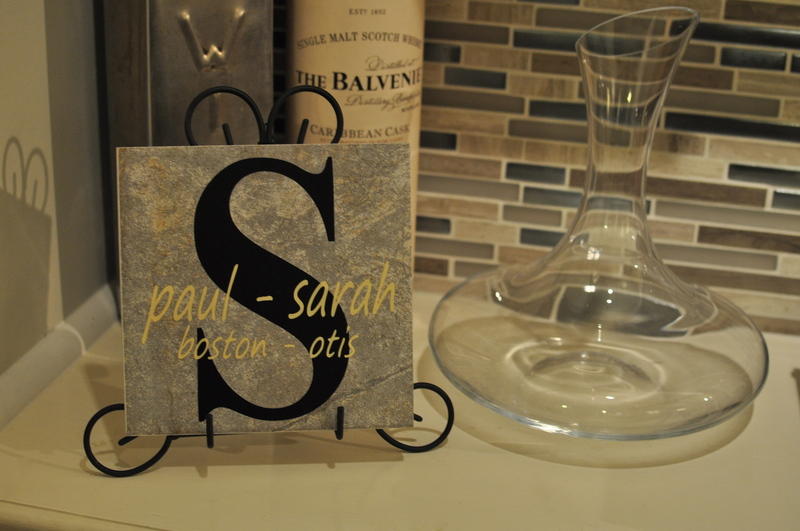 We already have them displayed and will love them for years to come! I brought the Dill Pickle Chips to work to share (only one bag) with my co-workers. They loved them as much as I did and mentioned they tasted much like salt and vinegar chips with dill. That got me thinking about a recipe I would make all too often with my roommate Jessica (well, she lived above me but she might as well have been my roommate) in PA school. 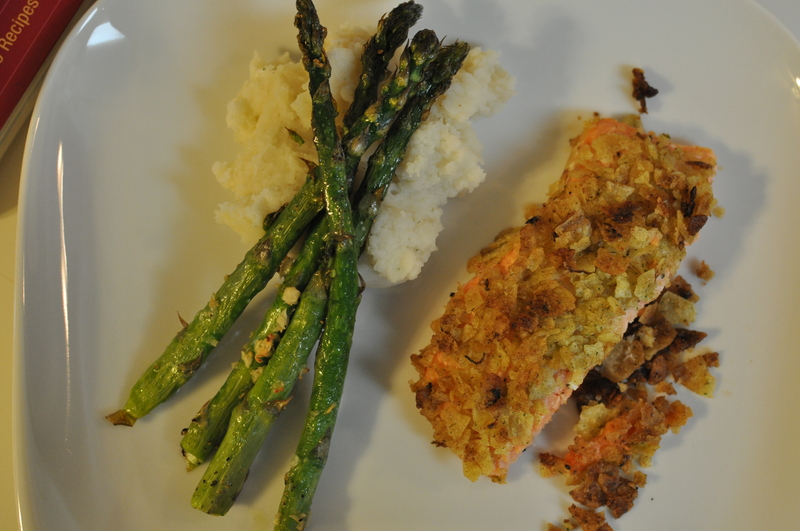 She wasn’t a fan of fish, and this was the first dish I could get her to try to move into the world of eating fish. It’s a recipe modified from Young & Hungry by Dave Lieberman. Preheat the oven to 400°F. Line a baking sheet with aluminum foil. 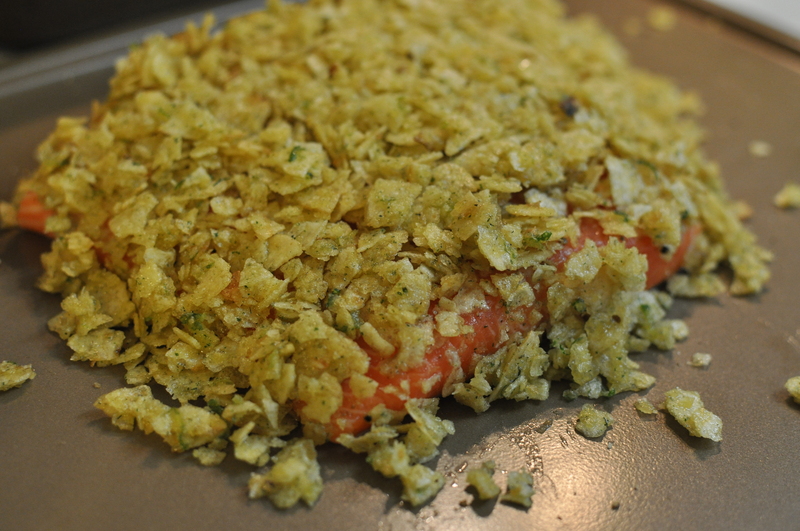 Lay the salmon, skin side down, in the center of the baking sheet. Season it lightly with salt and pepper. 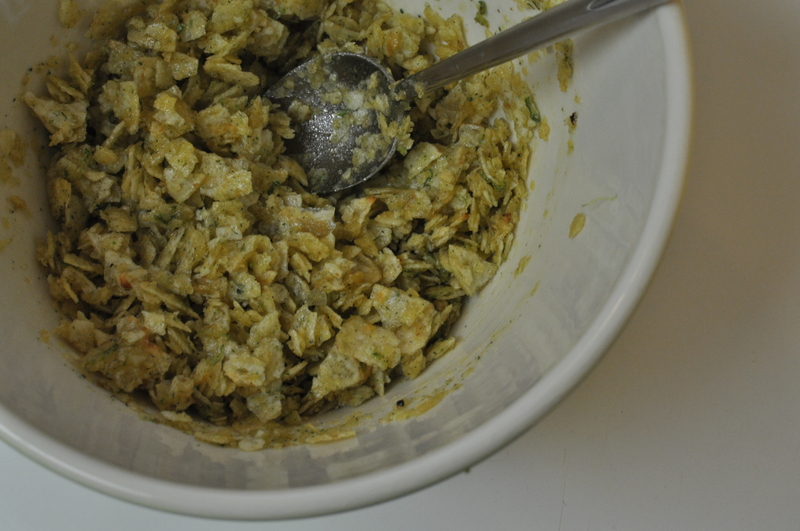 Crush the potato chips, lime zest, and dill together in a bowl until the chips resemble coarse crumbs. Mix in 2 tablespoons of olive oil until incorporated. 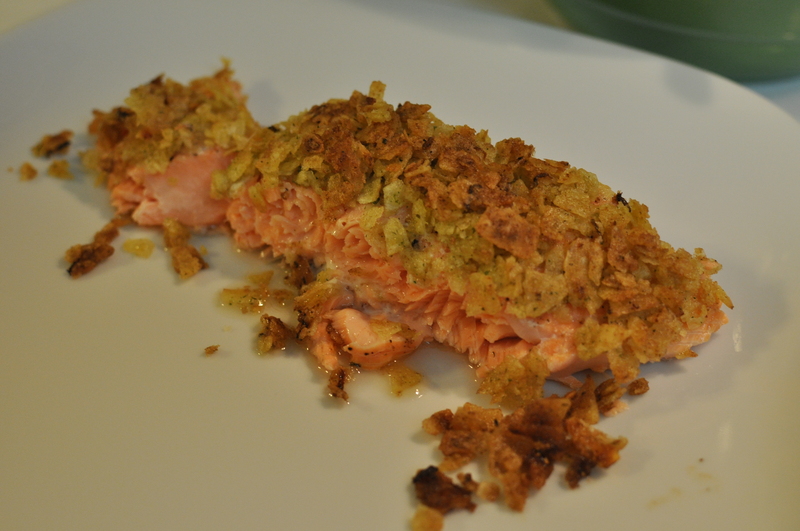 Coat the salmon with a thin, even layer of potato chip crumbs. Pat them on the fish gently so they stay put. 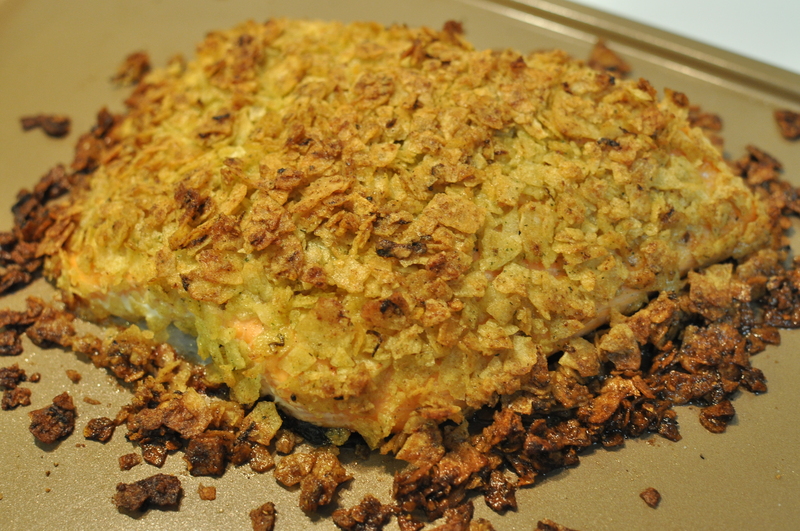 Bake for about 20-25 minutes, or until the chip coating is nicely browned. This recipe serves 4 -5 people. If it’s just the hubs and I eating, I usually start with a smaller piece of fish. Enjoy!